Our 6"x 8" Wreath Medallion Series 1st-5th Place Plaque is our top seller - for good reason! Choices, choices and more choices! - that's right, you have more options with our 1st-5th Place Medallion Plaque than any other in our value line. With 1000's of options - you will customize, using our easy-to-use Web app. 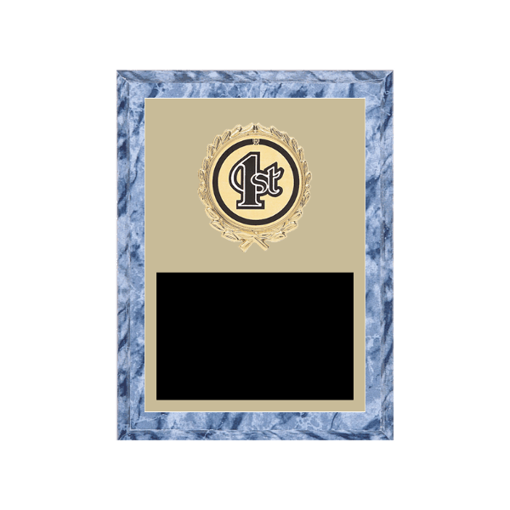 Nothing could be simpler than selecting from one of our 1st-5th Place Inserts, one of our eight plaque boards and nine engraving-plate colors to create a one-of-a-kind engraved plaque - just the way you like.